Travelling to Malta is one of the best options you can consider if you are looking forward to some fantastic sightseeing days in the middle of the Mediterranean. On this island you can enjoy the sea and a good rest in a paradisiacal place. And if you’re a fan of water sports and adventure tours, you’re sure to feel like you’re in your element. 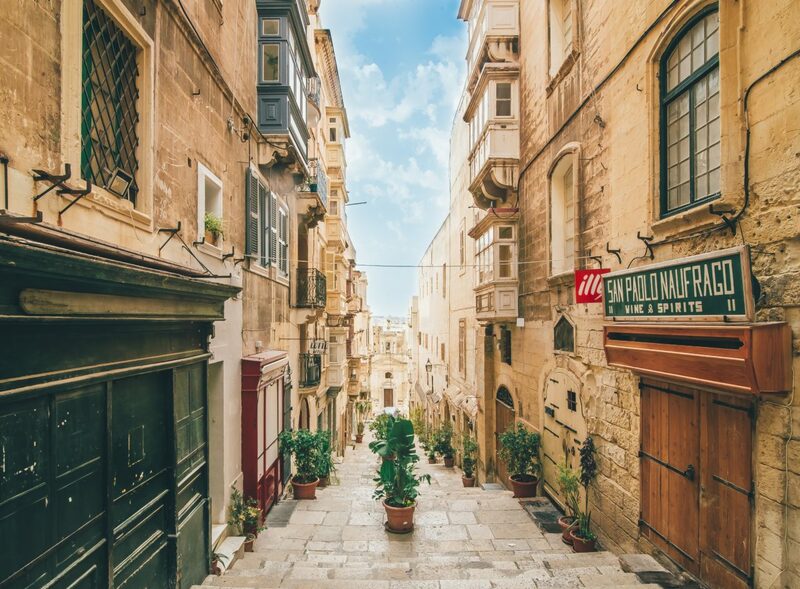 On the other hand, travelling to Malta with the idea of sightseeing will allow you to discover many historic towns and villages typical of the Mediterranean and, surely, you will fall under its charm. In this tourist guide you will find all the information you need to prepare your trip to this Mediterranean island. You will see that the article is divided into several parts and has detailed texts that can be very helpful for planning your holidays. You’ll find recommendations on what to do in Malta, what to visit, what beaches to visit, and what not to miss on this wonderful island. Why is it good to travel to Malta? Malta is an island bathed by the sun, in the heart of the Mediterranean Sea and enjoys a rich history. Travelling to Malta is very popular to European tourists, and this is because it offers a colourful setting in which you can do a variety of activities. Here are some of the things that make this destination so popular with tourism enthusiasts. Travelling to Malta is like going back in time, as it is full of old buildings and villages that seem to live in another time dimension. Although it is a small island, it has many points of interest for tourism, some of which have been declared World Heritage Sites. For this reason and because it is an ideal island to rest and spend a nice holiday, we think you should consider it as a possible destination for your next trip. Malta has a splendid climate. The sun shines almost all year round and its temperatures are warm: in summer they reach 30 °C and in winter they are always above 10 °C; with rare exceptions. In terms of its history, Malta has been influenced by diverse and interesting cultures over the years. When you visit Malta you can see the legacy of different peoples who lived on the island. This heritage is reflected in the ruins, temples, megalithic structures, forts and palaces. The Maltese archipelago, located in the centre of the Mediterranean, consists of islands. In fact, these are: Malta, Gozo, Comino, Cominotto and Filfla. It’s a destination that overflows with character and is reflected in its blue waters, vibrant bays, medieval walled citadels and splendid baroque churches. Malta is a unique tourist destination. It is the sea, the rocks and cliffs, the beaches are bathed by turquoise blue waters. There are no rivers or mountains, but the hills offer a wonderful contrast to the cities and towns. Every year, more and more visitors come to the Maltese coast. Their goal is to immerse themselves in its fascinating history, taste its delicious seafood and enjoy its traditions and festivities. The Maltese islands are very rich in history and culture, a fact that is reflected in their complex gastronomy. If you are a gourmet traveller and enjoy your meals, Malta is a perfect place to travel. Its dishes are influenced by Italian, Arabic and Anglo-Saxon cuisine. A unique combination worldwide. If you are thinking of a destination for your next holiday and don’t want to spend a lot of money, Malta is a good choice. Many Low cost airlines such as Ryanair and Vueling offer cheap flights. You can also stay in four-star hotels in central locations and enjoy good food. Compared to other destinations, will seem to you to travel at a very good price. Decide to go as a couple, with friends, family (or even at your own pace). Did you enjoy our article? We recommend you our Travels section for more destinations around the world.